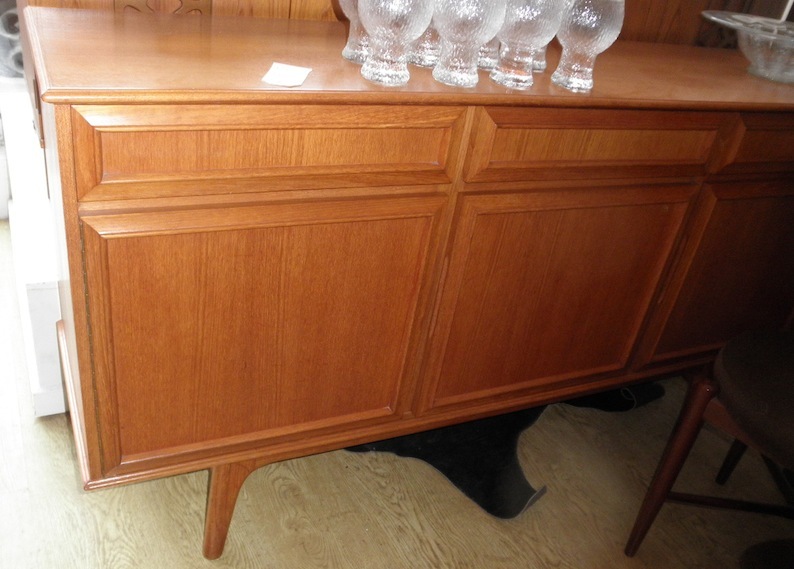 This nice mid sized sideboard offers great storage with out taking up too much space at 1620 long it isn’t going to be too big for a smaller room but has 3 drawers and three cupboards for a huge amount of storage. It’s in great condition and is a fantastic quality piece with nice detailing and subtle styling. 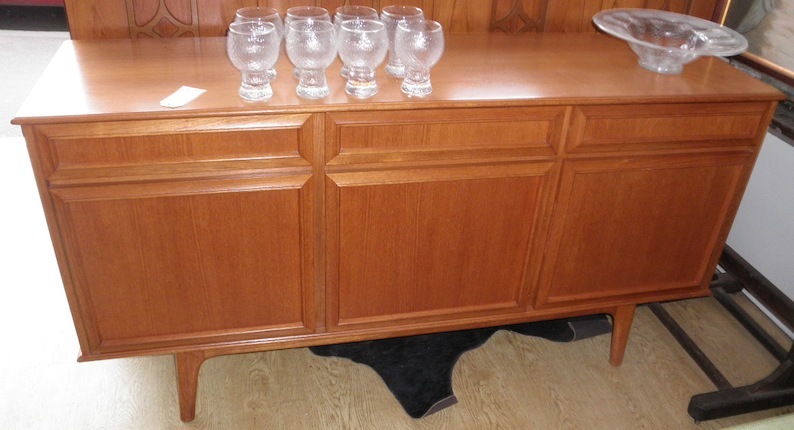 Teak sideboards are getting harder to get and are always increasing in price while offering great functionality.